Last week I presented (for a second time) a webinar for Simple K12 on the topic, Performance Task Assessment is 21st century Assessment. Those slides are embedded above, and the webinar is available here (free for members, for a fee if you’re not). In that presentation I discuss various strategies for designing and developing your own performance tasks for assessment, and suggest that one avenue is to borrow an existing one and adapt for your purposes. In the PBL world where I also spend a lot of time, we refer people often to PBL libraries (BIE has a list of them here), and so it is important we match them with performance task libraries. 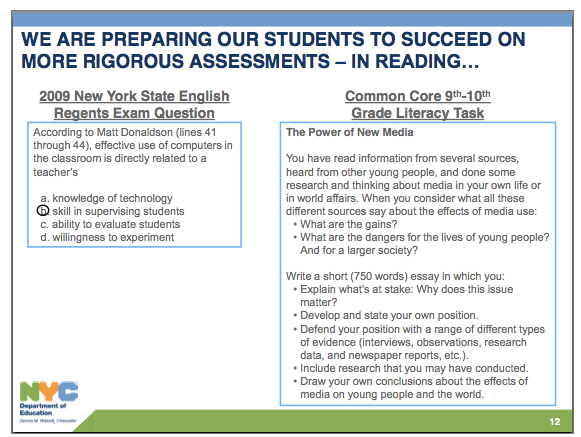 Performance Task assessment is becoming increasingly important, as I’ve posted here several times before, because of its role in Common Core assessments, as exemplified in these slides from NYCED. What I don’t know yet is whether/where there are Performance Task library wikis where creative teachers can upload and share their awesome unique assessment tasks. Are they out there? If you know of them, please share in the comment box. Here is a some of the resources I’ve identified, and I should offer my thanks to Jeannette Stein whose post on a subset of this same topic, Common Core Assessments for High School Math, is excellent and from which I’ve drawn several of the following list. 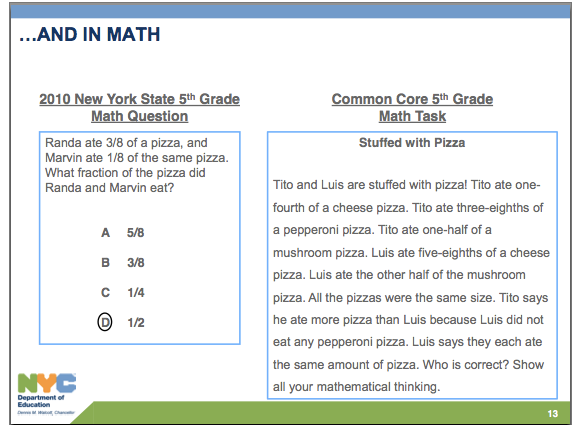 NYC Department of Ed has its Tasks, Units & Student Work Collection. Onwards with Performance Task Assessment!